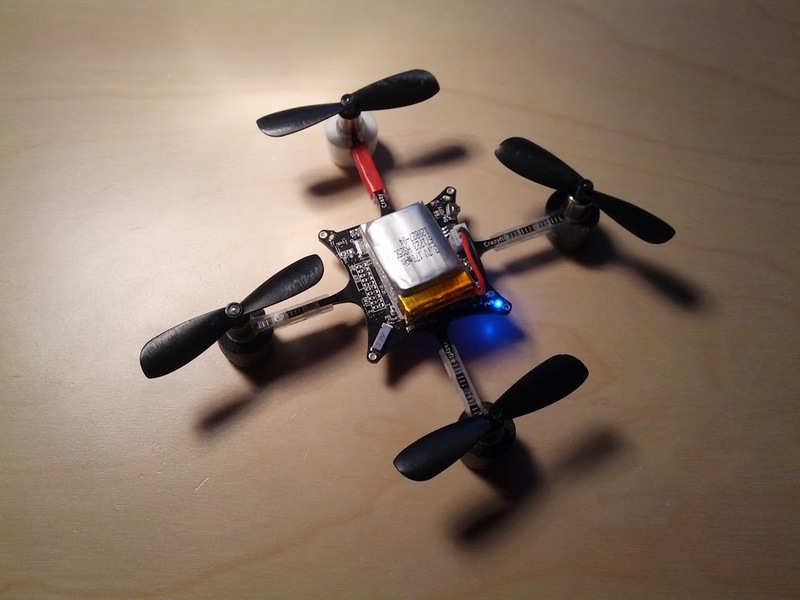 The Crazyflie can be landed on its motor mounts perfectly fine. However the motors have a built-in safety mechanism to slide down in them if a force is applied from above (e.g. if you hit the ceiling or crash upside down), which can lead to the motors sticking out below the mounts. This in turn – if unnoticed – leads to you not landing on the mounts but instead on the underside of the motors which means the motor wires, which most probably reduce the lifetime of these wires. On the forums mrb0y had the brilliant idea of using cut off parts of NERF darts to glue beneath the motor mounts to work as cushions for landing. NERF darts happen to have the perfect inner diameter to also work great with a simple pressure fit on the motor mounts. Just cut off 4 parts of ~1cm length and cut a small notch of ~3x3mm in their tops (this is for the making room for the arms). The NERF dart part can then be slid onto the motor mount with the arm of the motor resting in the notch. Holds well without any glue in most crash situations and weighs next to nothing. If you got more than one color of them, you can even make your NERF based landing gear help with orientation too, just use one color for Motor 1 and another for all the other motors (example here). Take a pair a foam ear plugs, cut them in half and glue them to the bottom.